A report from ESPN’s Adam Schefter says that the Falcons are “on the verge” of acquiring cornerback Asante Samuel from the Eagles. According to Schefter, the Eagles will receive a late round draft choice for Samuel. The Falcons have six picks in this week’s draft, including one fifth round, one sixth round and a pair of seventh round draft choices, though one of the seventh round picks is a compensatory choice and can not be traded. Samuel, 31, has been on the block after the Eagles signed Nnamdi Asomugha to a five-year, $60 million contract and acquired Dominique Rodgers-Cromartie from the Arizona Cardinals in the Kevin Kolb trade last summer. As part of any trade, Samuel is expected to restructure the two years and $21.5 million remaining on his current contract, that calls for a $9.9 million base salary,and $100,000 workout bonus in 2012. Atlanta has less than $2 million in cap space and could not add Samuel without a restructured deal. Falcons general manager Thomas Dimitroff and Assistant Director of Player Personnel Lional Vital were in the lead positions of the New England Patriots’ college scouting department when New England selected Asante Samuel with a fourth round draft choice in the 2003 NFL Draft. Over his nine-year career, Samuel has 45 interceptions, five he’s returned for touchdowns, and 123 passes defensed, earning four trips to the Pro Bowl. The Falcons already have two solid cornerbacks in Dunta Robinson and Brent Grimes, who signed his $10.281 million franchise tender on Tuesday. Atlanta also has Dominique Franks and Christopher Owens, who will now compete for a dime cornerback role to earn a roster spot. 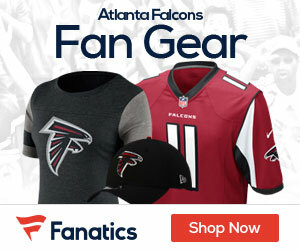 UDPATE (1:58pm EST) – A proposed trade that will send cornerback Asante Samuel to the Falcons moved one step closer to completion on Wednesday afternoon with Samuel agreeing to terms on a three-year, $18.5 million contract with the Falcons, Jeff McLane of the Philadelphia Inquirer reports. Neither team has confirmed the trade, which is expected to involve the Falcons’ sixth round pick (192nd overall).